The multiple transports feature allows apps connected to Core to start another connection over a different transport for certain services (for example, an app connected over bluetooth using WiFi as a secondary transport for video streaming). This guide will walk you through how to configure the multiple transports feature using the smartDeviceLink.ini file. 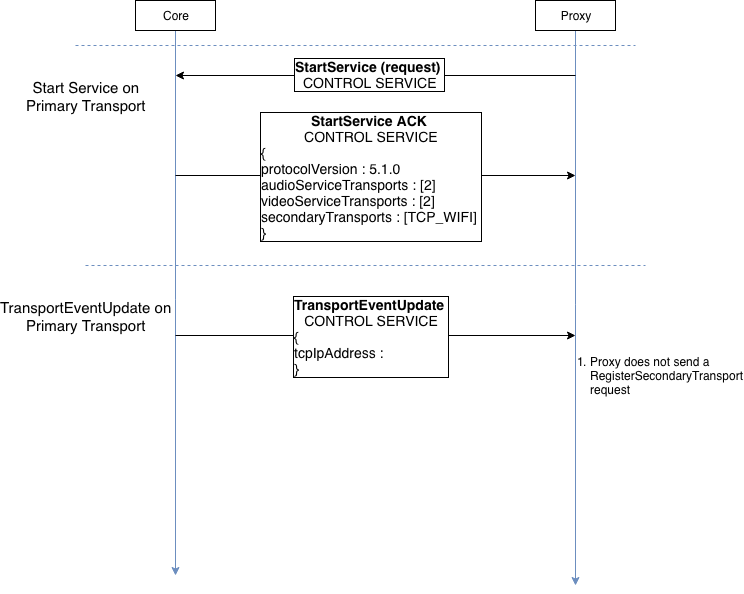 After Proxy is connected to Core, it initiates another connection over a different transport. Core tells Proxy which transport can be used as Secondary Transport. The services that are allowed on the Secondary Transport are specified by Core. 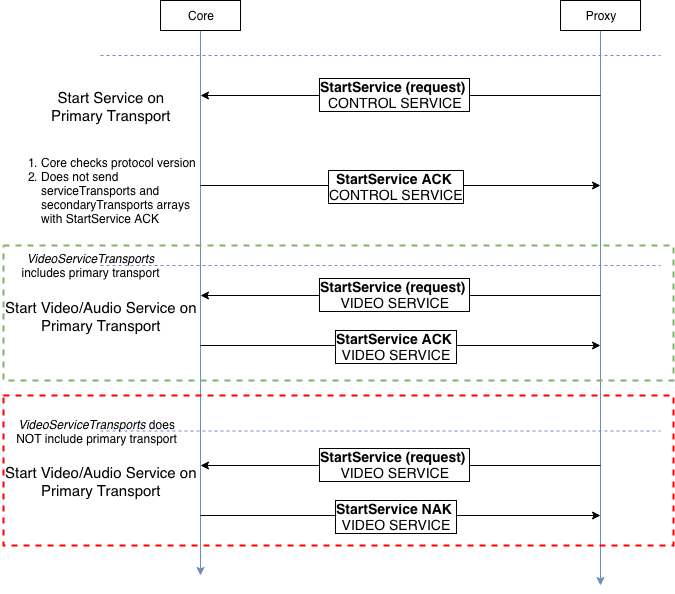 Core responds to the proxy's StartService request with additional parameters audioServiceTransports, videoServiceTransports and secondaryTransports. The secondaryTransports contains an array of the allowed secondary transports for the current primary transport. 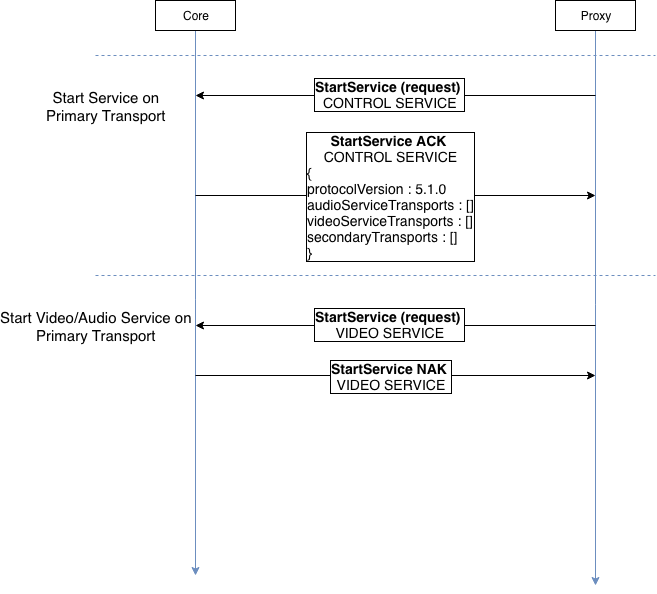 audioServiceTransports and videoServiceTransports describe which services are allowed to run on which transports (Primary, Secondary, or both). The Proxy uses this information and starts services only on allowed transports. 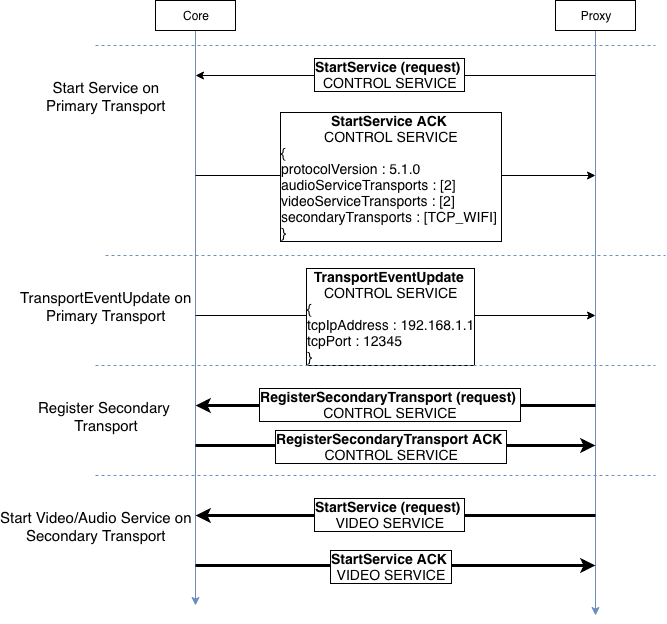 Since RPC and Hybrid services always run on Primary Transport, only Video and Audio services are configurable. 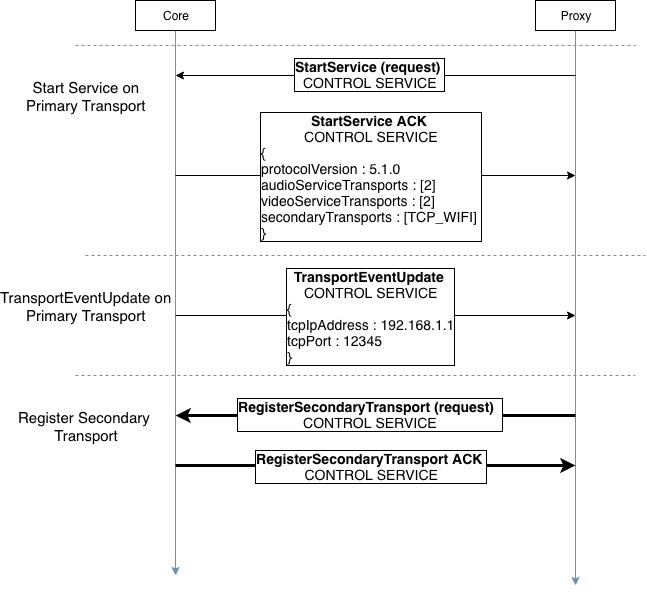 Using the information in the StartService ACK and TransportEventUpdate frames, the proxy sends a RegisterSecondary transport request over the secondary transport. Modify the services map in smartdeviceLink.ini to restrict video and audio streaming services to specific transport types. IAP_USB iAP over USB, and Core cannot distinguish between Host Mode and Device Mode. SPP_BLUETOOTH Bluetooth SPP. Either legacy SPP or SPP multiplexing.